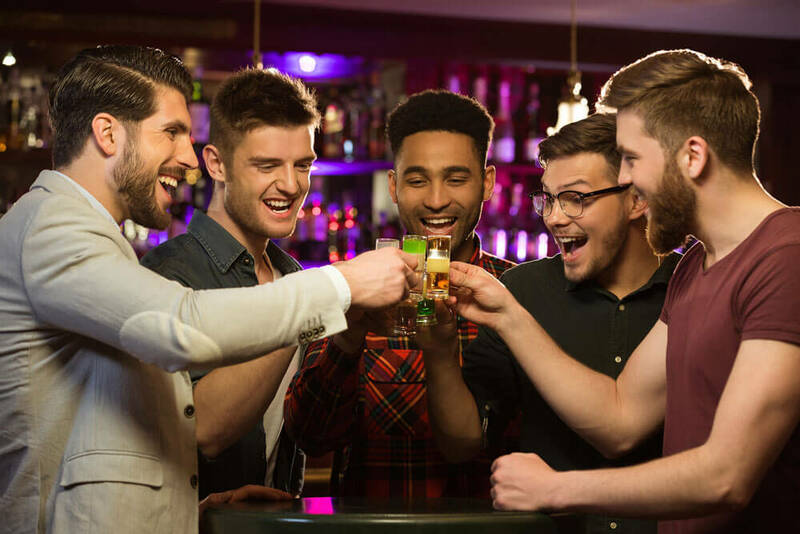 These are four awesome activities and destinations to think about when you’re planning a Chicago bachelor party. There’s a little bit of something for every interest to enjoy here, so we are confident that your celebration will meet it’s full potential after visiting some of these spots. To tie your party together, be sure to contemplate how you’re going to hop to and from destinations. With transportation such as a limousine or Chicago bus service, you can feel good knowing you’ve handled the situation responsibly, and in a way that benefits you! Chicago TikibBoat is self proclaimed as Chicago’s original party boat, so it only makes sense to book it for your bachelor party! This is the perfect situation for those planning a summer time party. It has a BYOB policy and is equipped with coolers and ice, a grill, as well as a bluetooth stereo and floaties for your guests. There are three different boats to choose from depending on how many passengers you have. The water slide will undoubtedly make you feel like a kid again! Replay Lincoln Park one is for the video game lovers! This bar meets arcade promises fun for all. All of the games are free to play, and there is no cover to get inside! You’ll find all of the favorites from your childhood such as air hockey, pinball, and skeeball. There are a lot of fun drinks to choose from along with an impressive list of craft beer and wine choices. It’s easy to spend hours inside of this establishment. The Paintball Explosion Park is a fun way to let loose for your Chicago bachelor party! It’s located outside of Chicago, and there are both indoor and outdoor obstacle courses which makes it that much more exciting. There’s even a sports bar and grill here, so it’s suitable for this type of celebration. This facility also offers airsoft, laser tag, and video games, so it’s an entertaining venue in many ways. Make your way to Wicked Archery for a bachelor party in Chicago that you will not soon forget! You will feel like an actual warrior once you pick up the bow and arrow here. This battlefield activity actually combines archery, paintball, and dodgeball, so your adrenaline will be pumping the entire time. You’ll want to book sooner rather than later, as they tend to book up quick. Remember, professional transportation is important to consider if you’re going to be drinking during your celebration. It’s always better to figure out your mode of transportation sooner rather than later! It’s easy enough to order ride share services, but there is a better choice for groups in Chicago. Chicago Limos and Party Buses allow you to experience convenience and efficiency without having to order a new ride every time you want to switch it up. Plus, the space on board makes it very appealing for parties.